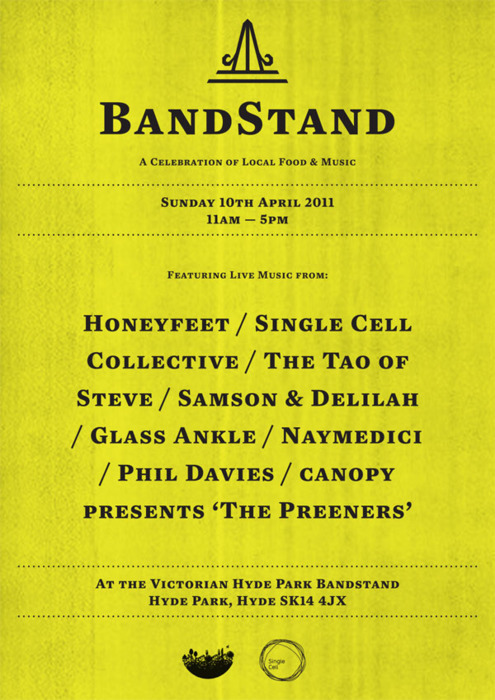 Featuring live music from: Honeyfeet, Samson & Delilah, The Tao of Steve, Glass Ankle, Naymedici, Phil Davies, SR Downes and street theatre from Canopy present The Preeners. All compered by poet Dominic Berry. Include a free food giveaway from Haggle and Barter, fresh salad boxes, demonstrations, Halal Indian takeaway, vegan and vegetarian options – all the best in local, sustainable Hyde-based food. Face painting, games and an introduction to the new community orchard. PUBLIC TRANSPORT: It takes 13 minutes on the train from Manchester Picadilly, get off at Flowery Field or Newton for Hyde stations and it’s a short walk to Hyde Park. Trains leave Manchester Picadilly at .18 and .48 minutes past the hour and a return costs £2.80. BY CAR: For Hyde Park come off at junction 3 of the M67 Manchester to Sheffield motorway, there’s plenty of parking around the perimeter of the park. 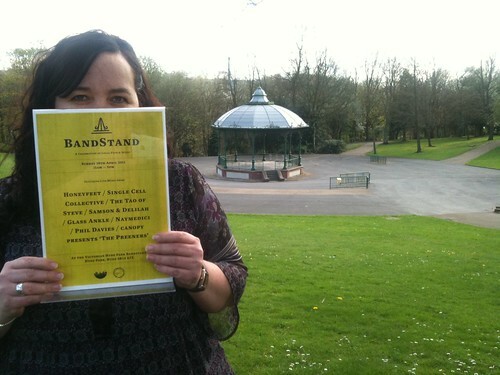 The Victorian Band Stand is located at the centre of the park, you can take a look at a map of the park here.